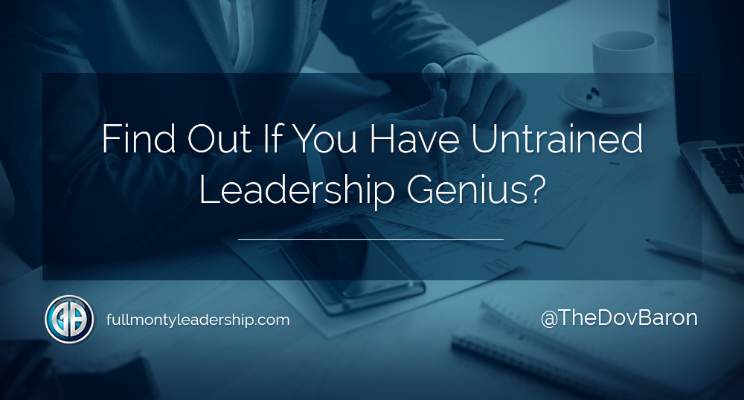 Find Out If You Have Untrained Leadership Genius? How many leadership books have you read? How much leadership training have you received? Why is it that for some people no amount of strategic leadership training will ever make them into great leaders? While others seem to lack that academics and yet they are phenomenal leaders who seem to quite naturally generate and facilitate Fiercely Loyal teams. I put it to you that the hardest skills are the soft ones. If a leader does not genuinely care about a team member, genuine loyalty will not occur. No matter how well established and or trained that leader may be, if they cannot extend themselves through genuine compassion, empathy, caring, and vulnerability, the results will be that their team will never know the fruits of lasting success and they will be generally unsuccessful in the ways that will matter most. Conversely, a totally untrained or minimally trained leader who exercises a great capacity for genuine compassion, empathy, caring, and vulnerability will achieve bottom-line results that will equal and often exceed those of the most established leaders. I trust that you found this article of value to you… If you believe this is an important message feel free to share!